Technology constantly advances and generates daily upgrades for several applications, and that is why we may come across unexpected behavioral reports in different work areas. In our field, we have detected an unusual behavior related to video playing, where some cable subscribers reported that it was not possible for them to reproduce content from a cell phone app. In order to know more about the causes of this issue, we need to gather information about it with the help of an Implementation and Support team, so that we can analyze the logs or traffic traces generated by the services. However, in the case of third-party apps that channel content, it is not easy to gather such diagnosis information. 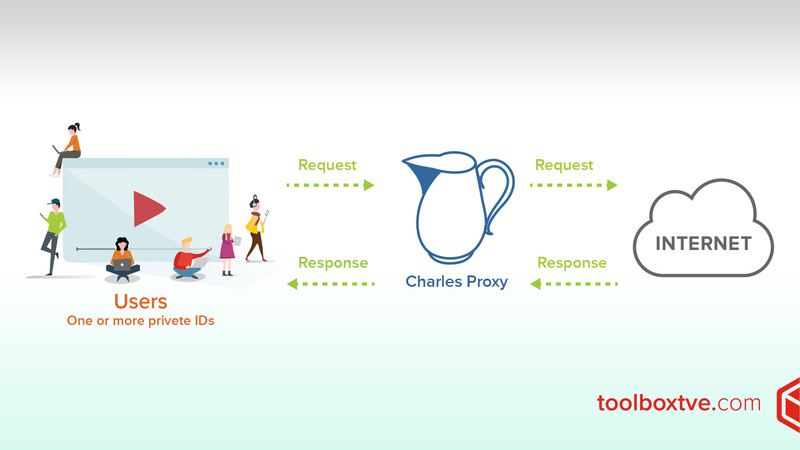 This is the reason why we recommend Charles Proxy, an installable software that can capture the request data, diagnose issues and track the behavior of applications and services. This tool can be set up in such a way that all the traffic passing through it can register all service requests, including those that come from a cell phone app. It acts as an HTTP Proxy. It acts as a server that receives the requests, such as those from a web browser, and then makes those requests to the Internet on behalf of the requestor. Then it retrieves the results to the browser. It also acts as an HTTP Monitor. This functionality allows web developers to trace all the traffic between a device and the Internet. This includes data requests (such as HTTP headers or the GET and POST methods of form-data) and response information (including HTTP headers and body). It is supported by Windows, Mac OS and Linux. It’s the tool of choice of several companies. It allows for information traceability tests. It allows for incidence debugging. It has a trial version. It’s a licensed software with an initial price of $50. Thanks to this tool, we have managed to extract data derived from the test and pass the network traffic of the cell phone running the app through a terminal by using the Toolbox’s Wi-Fi connection. As part of its diagnosis, Charles Proxy has allowed us to monitor the content provider services that were involved in the operation of the app, so we could identify which of the parameters sent prevented the reproduction of content for the users of this particular operator. In addition, it was also possible to validate the correct user registration in the portal and verify this with another service of the app that checks whether the client has hired the package. The latter, in particular, had been previously verified with the cable operator so that it can move onto the application functionality analysis.